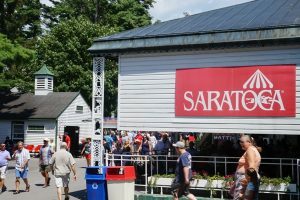 The New York Racing Association, Inc. (NYRA) will welcome the general public to purchase full-season ticket plans at The Stretch for the 2019 meet at Saratoga Race Course beginning Thursday, February 28 at 1 p.m. 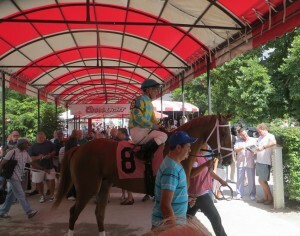 The Stretch – which debuted in 2018 and is located in the grandstand at the Top of the Stretch – is a private hospitality area featuring modern and upscale amenities in a casual environment with breathtaking views of thoroughbreds rounding the final turn. Reserved seating options at The Stretch available for seasonal plans include middle dining tier tables ranging from six to eight seats; reserved bar seats; and premium reserved seats. 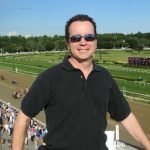 Full-season plans can be purchased exclusively through the NYRA Box Office by phone at (844) NYRA-TIX, via email atboxoffice@nyrainc.com or at www.nyra.com/saratoga.